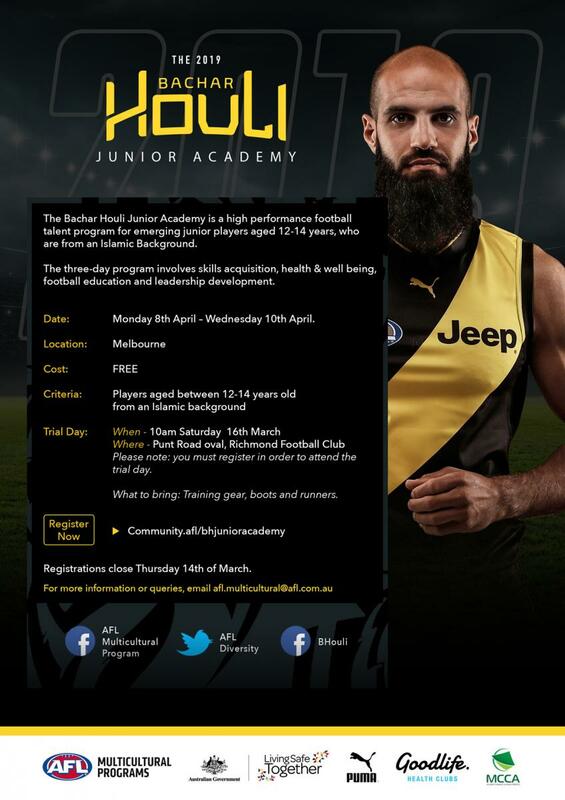 The Bachar Houli Junior Academy is a high-performance football talent program for emerging junior players aged 12-14 years, who are from an Islamic Background. The three-day program involves skills acquisition, high-performance testing, football education and leadership development. Make sure you register by clicking on the link at the top of the page for your chance to be part of the 2018 Bachar Houli Junior Academy. Download the flyer by clicking on the link below.